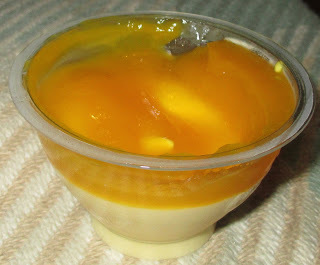 I’m not sure if I have mentioned it on here, I probably have somewhere, but my favourite fruit is mango. I cheat and buy the pre-diced stuff, because despite several youtube clips of people “hedgehog” cutting them, I have failed. I got covered in juice, it was beyond my skillset. 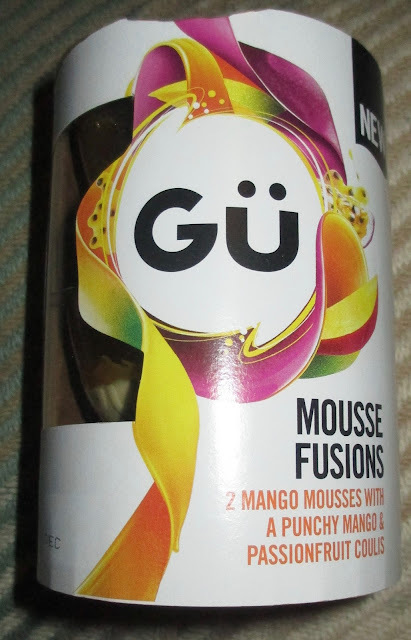 Anyway there is a new dessert from Gu, and it contains mango, so yep, I bought them. The pack has two pots stacked together and wrapped in cardboard, for uber poshness. I had to pull a strip ton the back to rip it opened and release the two pots. The pots are very inviting, and even have cute slogans written on the lids. There are two layers inside and the top one hadn’t travelled well. The fruity topping wasn’t evenly spread despite sitting in the fridge the right way up for a few days. I put this down to their journey in the back of the car not being kind to them. The topping is predominantly passion fruit flavour and is quite a sharp and tangy taste. It was countered by a rather thick a luxurious mango mouse. 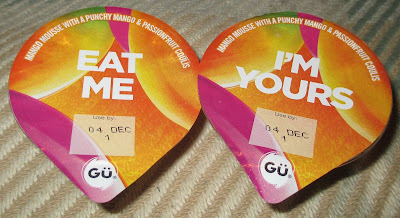 The flavour was smooth and creamy, and the two tastes went perfectly well together. I loved these pots of tropical fruity goodness, and will be buying some more.